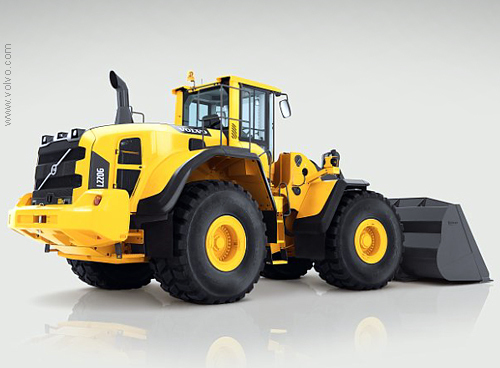 The Volvo’s L220G, fitted with a 6-cylinder water-cooled turbo engine, stands out thanks to its fuel efficiency and productive design, with 20% increased lifting force, 10% improved breakout force and stronger hydraulics. The patented Torque Parallel linkage is designed for high breakout torque throughout the entire range and excellent parallel movement. The engine hood design improves ventilation and is electronically opened with a large opening angle for easier maintenance. The ROPS/FOPS tested VolvoCare Cab is safe, spacious, with ergonomically placed controls, noise reduction, air filter and excellent operator visibility.